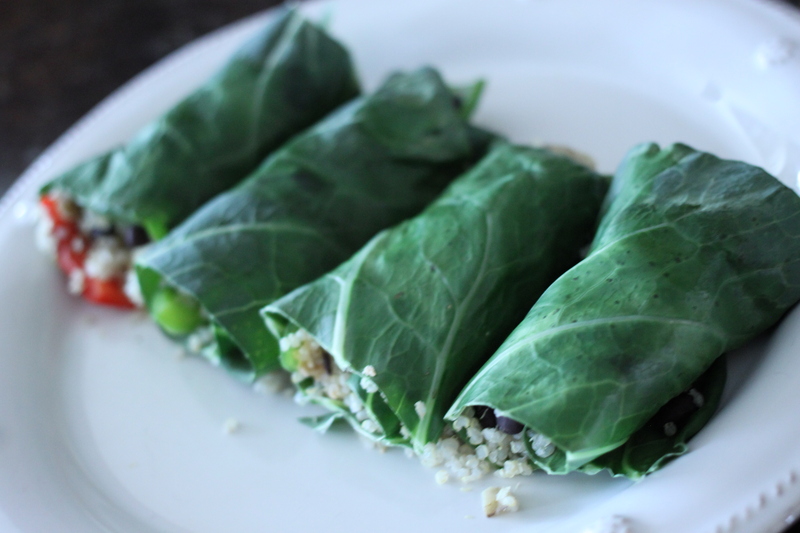 Collard wraps are a lunchtime staple for me. 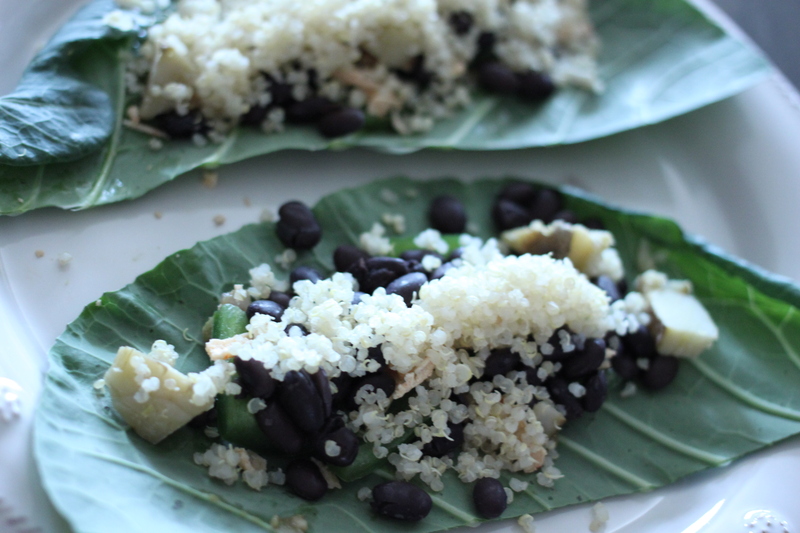 Quinoa and beans are a great base, but adding the right veggies and spices takes it from bland to incredible. 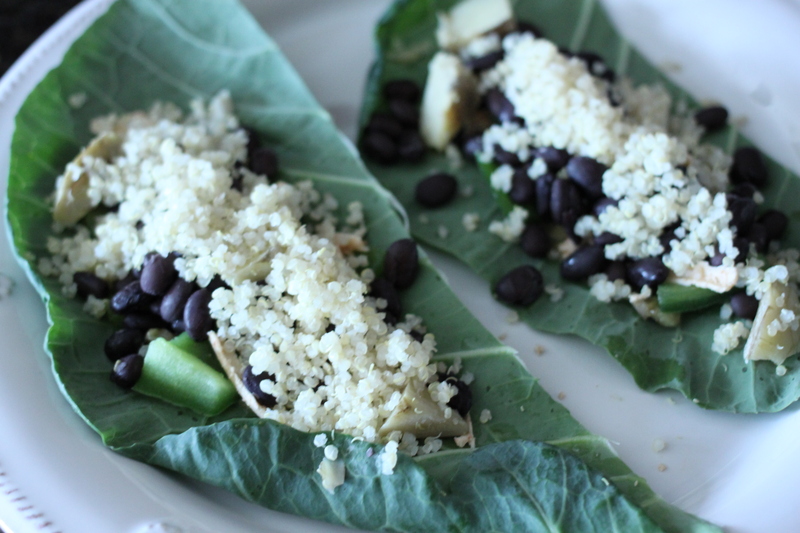 This superfood packed recipe has a serious boost of flavor and rings in at only 284 calories. 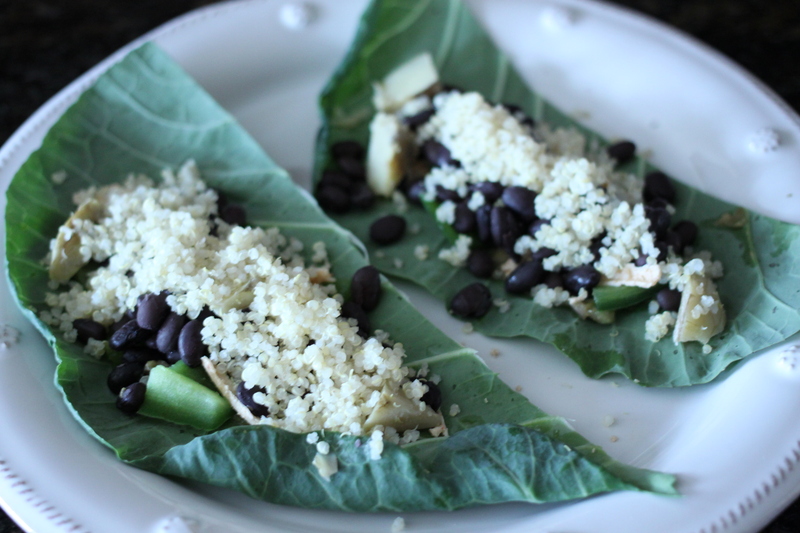 Microwave for 45 seconds to steam collard green and melt cheese. 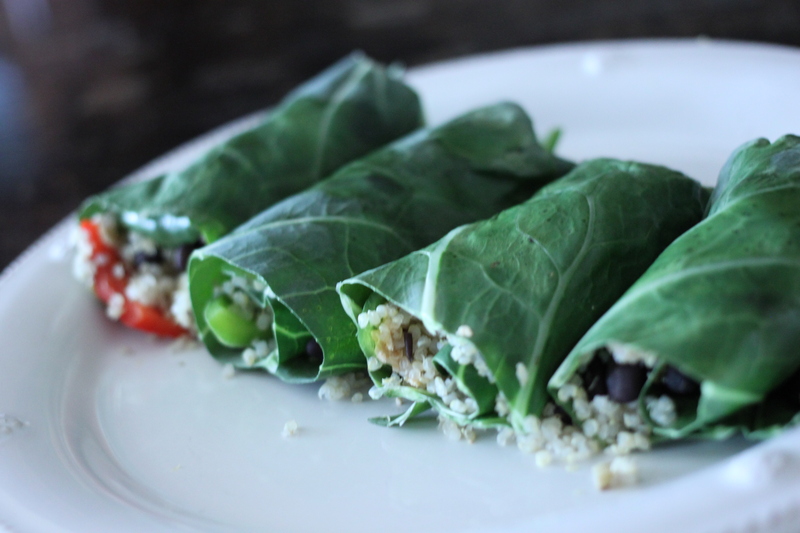 Roll up into a wrap and enjoy! 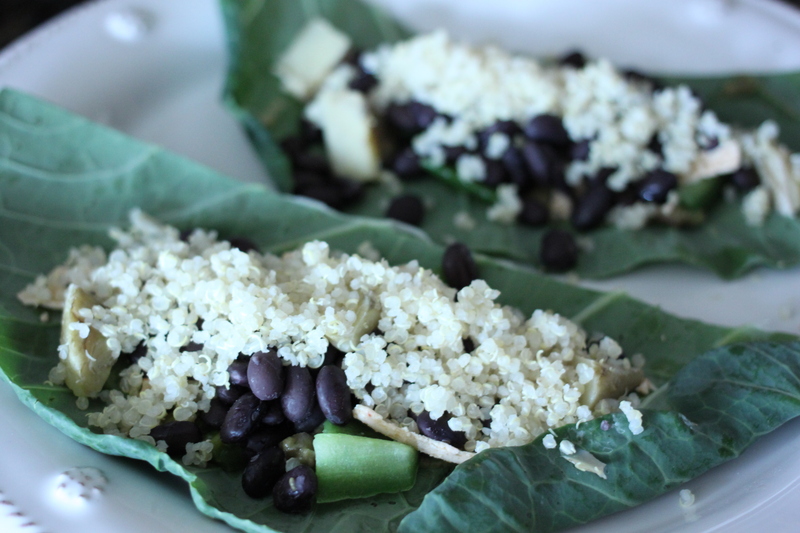 This recipe is incredibly filling and packed with superfoods and protein. It’s vegan, gluten-free and soy-free. 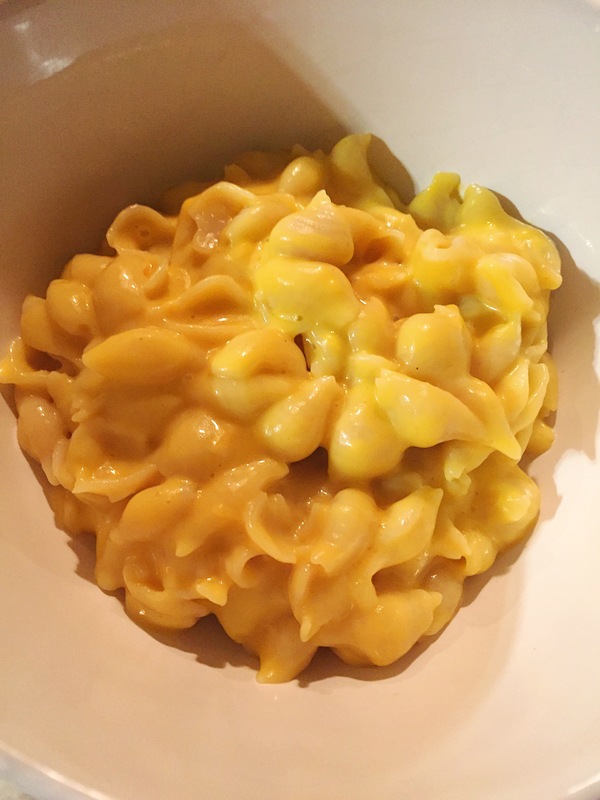 It makes for a great post-workout lunch!